You might know that confinement care after having a baby is important, but do you know exactly why this is so? From a TCM perspective, it is critical for you to get proper postpartum care, because this will set the stage for your future health. A woman’s body undergoes major hormonal, physiological, circulatory, respiratory and metabolic changes during pregnancy. While most mothers bask in this “glow” of pregnancy, many are caught off guard by the post-delivery changes that occur in a matter of days or even hours. To address the concern of the safety of TCM herbs for breastfeeding mothers, as well as the risk of postpartum bleeding, it is advisable to only take TCM herbs that are prescribed by the physician. Together with proper rest and diet, the herbs will help mommies regain the balance of Qi and Blood at a pace in accordance with their body constitution. While Chinese herbs nourish the internal organs, acupuncture can be used to improve circulation. Mothers who suffer from conditions such as headache, osteoarthritis, lower back pain, carpal tunnel syndrome and tension may benefit from acupuncture right after delivery. 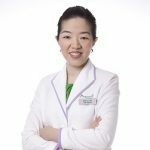 Thomson Chinese Medicine offers postnatal TCM programmes. These include 28 Days Confinement Herbal Care, Internal Rejuvenation for Mommies (post-confinement herbs) and Go Go Mommies (six sessions of acupuncture to relieve stress, fatigue, aches and pains).